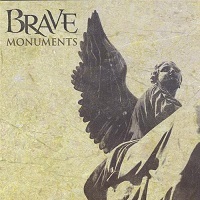 Always a band that played to the beat of their own drum, Brave (and Arise from Thorns before them) have had an identity that one could argue as being uniquely their own. 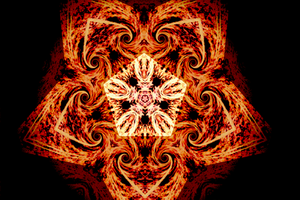 Bits of prog, metal, and rock wadded up and injected with strings and acoustic melodies in such a fashion that they lack for those simple tag-lines or genre descriptions. While they aren’t one of the most prolific bands around, there is also no mistaking the quality that goes into each new release they make. 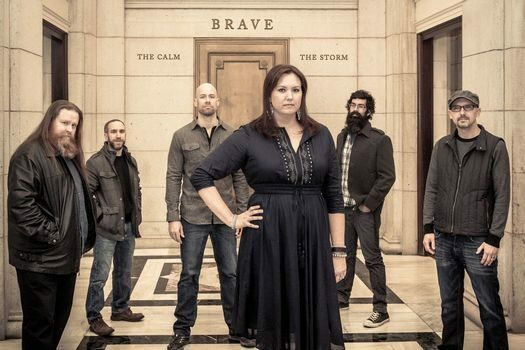 Their latest release, The Calm The Storm, sits at possibly their pinnacle. A mixture of the band’s more melodic and quiet offerings along with some of their heavier productions, each track stands out as having its own space and appeal. There’s a wonderful variety to it, and one that totally fits with what Brave has done for two decades now. We had the pleasure of speaking to vocalist Michelle Schrotz to give us a more in-depth understanding of the new material, where the band wants to continue towards, and a bit of everything in between. Dead Rhetoric: What has the band been up to over the last few years? Michelle Schrotz: We did a single in 2014 called Surrounds Me. We wanted to do something to get back into the studio. We always had songs kind of on the ready to record or do something with. We did two versions of that song: an extended mix and a regular mix and we did a song called “Three Ravens.” Then really, you know how life gets really busy and you look and it’s like, “Holy smokes! Three or four years have gone by, I guess we should do something else!” It’s hard to get everybody together. We are all super-busy with careers and family. We all love doing music, but unfortunately it’s not a full-time gig as much as we’d like it to be. We love music, but it’s more of a weekend thing. We do it as much as we can but it’s not frequent enough. Time goes by fast, and before you know it, and it has been several years since your last release. We had been debating for a long time if we should go to a studio or do something on our own. We had known we wanted to make a record for a while. Ultimately we decided to start amassing our own gear and do something in-house. That’s how we started to develop The Calm The Storm. Dead Rhetoric: Was there ever a point when the band was trying to pursue some sort of label interest? If I remember correctly, all of the Brave releases were independent right? Other than the Arise from Thorns days? Schrotz: We did one album with Dark Symphonies when we were Arise from Thorns, and we did Searching for the Sun with Dark Symphonies. I feel so out of the loop. I don’t even know if bands even work with labels, since everything is so accessible to DIY these days. We kind of considered it, and we certainly would look at any potential offers, but at this point we have been doing it for so long that we feel like we have our own roster of contacts, and we keep in touch with many people. We feel like we can kind of do it ourselves. We don’t have expectations to become the next Iron Maiden or anyone else. We just want to put out music and maybe get to people who enjoy hearing it. That’s our goal. Dead Rhetoric: Where did the idea come from to incorporate the two sides of the album – storm and calm? Schrotz: We constantly struggle with “Do we go acoustic? Do we go electric?” We enjoy playing both so much. Even going back to the Arise from Thorns days, which was predominantly more acoustic, we loved playing both. For a long time, we debated on doing a double album – one side calm and one side storm. Ultimately, we decided to blend the two together and just have a mixture of both, because we like the sounds of both. We figured it would be half coffeehouse kind of gig and half rock club [laughs]. I personally like a lot of variety in an album and hearing a lot of different sounds in songs. If you listen to an album top to bottom, I like to listen to a lot of variety and textures in the songs as you go. But we always struggle, we never stick to one thing – we are always jumping back and forth. Dead Rhetoric: Could you talk about how strings are incorporated into the music? Schrotz: Suvo Sur, our violin player, joined us just after we finished recording Searching for the Sun. I had always played keys. I love string patches, violin, and orchestral sounds. We met Suvo, who was a local violin player. We were interested in incorporating a live violin sound to Brave. We started playing with him and loved the addition of the sound he brought into the music. I think it was a natural fit, because we loved what we had through the keyboard, and he brought it up by like a thousand. The natural violin sound into the mix just enhanced everything. A lot of people say it adds kind of a Celtic flair to it, which I guess it kind of does in the songs, but it adds an orchestral sound to it as well I think. It adds a lot; we can add more layers and textures to what we have, other than the existing instruments. On this album I played a lot less keys, because once we started experimenting with actual violin layers, having keyboards layered didn’t sound as good as the real thing. So the keys in this album were minimal compared to previous albums, because we had live violin tracks. Dead Rhetoric: You mentioned “Three Ravens” earlier. What led to electrifying “Three Ravens” for the album? Schrotz: What’s funny is that the song was originally electric, and we recorded it acoustic because that was the first time we recorded in our home studio. “Surrounds Me” was a big electric single and we wanted to put a B-side with it that wasn’t big and electric. Since we did it all at home, we didn’t want them next to each other. We didn’t think we had the skills to go head to head with a professional production yet. So we wanted to do an acoustic song, and we were messing around with the songs that we had that weren’t quite done yet. We were playing with that one and thought it sounded really good acoustic, so we just developed it acoustically. Later on, after we recorded it at home and had tested the waters, down the road we broke it out again and remembered how heavy it used to be and I liked how it was heavy – it had these big drum and bass fills. It was fun to play the heavy version, so we brought it back out again and put it on this album and titled it “Electric Ravens” because sonically it is very different from the first one. Dead Rhetoric: Brave had always had a sound that is hard to put into a box. Has not following any sort of trend/ or ‘slap it on a sticker’ tag kept the band back in a way, in terms of a potential audience? Schrotz: Definitely. I think it’s good and bad. It makes us unique and stand out, but also difficult to market. We’ve never had a comfortable home to call our own. Half of us play in While Heaven Wept, which you can classify as doom, and has a comfortable home in the scene. Seeing that side of things where we can play doom festivals and have a cozy place in that scene is really nice. It’s great to have that exposure in that area. When we are seeing that side of things, we see Brave as not working in that scene. It’s not the right thing. If I see other bands in other genres, Brave doesn’t seem to work on those genres. It’s a little more tricky to figure out what shows to play and what avenues to market. In the same respects, if you get the people that really love music and love hearing new types of music, I think we might appeal to them. It’s the people who are searching for something just different enough that will grab their ear. So it goes both ways, but it’s definitely tricky to find those people. Dead Rhetoric: With that in mind, where do you see Brave fitting in more? Schrotz: The genres that we have done well in are the progressive scene, but we are a little much for the standard rock scene – the prog scene has been pretty nice to us. The metal scene as well. We aren’t a true metal band, but occasionally we get a little heavier and we fit in more there. We have had the most acceptance in those scenes. Again, neither of which we truly belong in but they are our home. Dead Rhetoric: Going back all the way to Arise from Thorns, would you have imagined still doing this twenty years later? Schrotz: Honestly, probably no. I’m in my 40s and I don’t know if I would think in my early 20’s and wonder if I would still be doing it now. That’s a good question. I don’t think I would have – it’s surprising. When I ask myself how long we will be doing this, there’s no timetable really. It’s a matter of ‘when does this no longer become fun or fulfilling’ or ‘when does this become more of a burden?’ We are all super busy, and I don’t feel like this is a burden on my time. I think we will continue as long it is fun and we like to participate in it. Who knows? Will we still be doing it when we are 60? I don’t know, it’s crazy to think about. Dead Rhetoric: What are your goals for the band at this point in your life – what do you want to accomplish with it? Schrotz: I think now that we have some momentum going – we have our home recording studio fully functioning. We learned a lot recording this album. There was a lot of trial and error, and I have to give a lot of props to my husband [Trevor Schrotz], who is here building furniture in my office [laughs]. He was the engineer for the album, and producer mainly. He learned a lot so I feel like we have a fully functional studio where I feel that we can do the next album more easily. He also mixed the album for the most part, so I feel we can record music and get more experimental and try more layers/textures in the studio setting. I hope we can take this momentum and keep going. We have tons of songs. Scott [Loose], my brother and our guitarist, he has a ton of ideas. He is one of those people that never stop producing ideas. Lucky us – he has a huge catalog of ideas that we can take and begin to develop to work on more material. Right now, our goals are to take that next group of songs and see if we want to record another album/EP or just put out some singles. So we want to record more music, and at the same time, maybe do more shows. It’s tricky as well, because I feel that the scene is changing in [Washington] DC. The venues are changing, and I feel like there are less venues that are open to music acts. I don’t know that we have a lot of appropriate venues to play at, or if I just need to go and get some new contacts since I have been out of the scene for a few years. There’s definitely venues, but they are bigger than what we could bring at our level. We aren’t going to be bringing hundreds of people. There are less of those one or two hundred people venues. But we love to play live, and would like to play some more. We want to just keep doing what we have been for the last 20 years or so. Dead Rhetoric: As you were saying, your husband is in the band as well as your brother. Do you view Brave as a family affair? Schrotz: Definitely. Honestly, I think that is why we have been together so long. Arise from Thorns technically started in 1996, so I feel like we have been together for a long time. Even our current line-up has been here since 2007. We are lucky, and it’s definitely a family affair. It’s such a good mix of people, which I know is hard to get when you are in a band. It takes a while to get that chemistry, and we are fortunate to have had it for such a long time. Dead Rhetoric: With a number of people in both Brave and While Heaven Wept, how do you prioritize time for each? Schrotz: Honestly, both bands don’t take up a ton of time. They aren’t super active. But what’s funny is that historically, they have been active at the same time. They will both be inactive for years and then everything happens at once. We make it work – it’s the same group. Scott, Trevor, and I, all three of us are in While Heaven Wept so we make it work in both bands. Dead Rhetoric: Since you mentioned that they tend to be active around the same time, is there anything going on with While Heaven Wept? Schrotz: I’m not really sure. We did a little ‘farewell tour’ in Europe at the end of 2018, and I’m not sure if that is going to continue. Tom Phillips is the head of While Heaven Wept and he has talked about ending it, revamping it with another line-up, or something else. I’m not ultimately sure what will happen with that. None of us are really sure. But time will tell. If something is happening with Brave or if we start to do something else, I would not be surprised if While Heaven Wept resurfaces [laughs]. It always seems to work out that way. Dead Rhetoric: Are there any concrete plans for Brave in 2019? Schrotz: We are actively looking for shows, just here in the DC area and trying to expand outside the area. We are also going through our material that we have now, and I think we will soon be organizing those ideas and start to record. So yeah, I think there will be lots to come.